In 1913 Manuel de Almeida established Almeida & Cª as Port wine Exporter. Later, when his brother-in-law, Manuel de Barros, became a partner of the Company, its name was changed to Barros, Almeida & Ca., it was due to the tenacity and energy of the new partner that the brand of the company - Barros Port- became well known all over the world. Quinta Dona Matilde formerly "Quinta do Enxodreiro", one of the most famous and oldest properties of the Douro is where Barros Port wines are produced. It was bought by Manuel Moreira de Barros in 1927. He had married Matilde, the sister of his employer and later partner Manuel Almeida, and it was to his honor of his wife that he renamed the quinta. 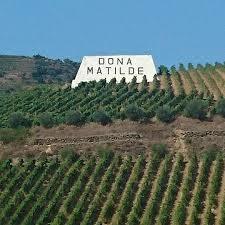 Dona Matilde is in fact a very old quinta, already marked on Forester’s map. The area of production is also extended to other properties such as Quinta São Luiz when Barros bought Kopke in 1953, and later when Sogevinus had purchased Barros in 2006 they started making SQVP from Quinta da Galeira. Quinta Dona Matilde was acquired by the Barros family again, so Sogevinus is no longer the owners of this quinta. Compared with the age of many other Port Wine companies they are quite young – just over 100 years old. In 1913 Manuel de Almeida established Almeida & Ca as Port wine Exporter. Later, when his brother-in-law, Manuel de Barros, became a partner of the Company, its name was changed to Barros, Almeida & Ca., it was due to the tenacity and energy of the new partner that the brand of the company - Barros Port- became well known all over the world, which at some point was responsible for 6% of the total Port production. After a few good years, tough times started – first the big depression, then the second world war. But the company was very well managed and survived those days by being very careful and frugal with their cash. They were even able to acquire other, well-established companies during those years. The biggest acquisition was Kopke in 1952. By then, Barros, Almeida had already bought Hutcheson & Co., Pinto dos Santos Jr, Antonio da Rocha Leao, and Feuerheerd Bros. They had also launched a few more brands on their own: Vieira de Sousa & Ca. and The Douro Wine, Shippers and Growers Association. By adding Kopke ( founded in 1638) to the portfolio of companies they own the oldest Port Wine company of Portugal. Quinta Dona Matilde formerly "Quinta do Enxodreiro," one of the most famous and oldest properties of the Douro is where they produce the Barros Port wines. Manuel Moreira de Barros bought it in 1927. He had married Matilde, the sister of his employer and later partner Manuel Almeida, and it was to his honor of his wife that he renamed the Quinta. Dona Matilde is, in fact, a very old Quinta, already marked on Forester’s map (in the 1840s, Forrester produced two maps of the Douro. The first, published in 1843 and revised in 1844 shows the demarcated zone with the prominent Quintas of the period being marked. The second, published in 1848 is a monumental piece of cartography, although perhaps of less interest to the Port drinker. It shows the whole of the Douro from the coast to the Spanish border). The area of production is also extended to other properties such as Quinta São Luiz when Barros bought Kopke in 1953, and later when Sogevinus had purchased Barros in 2006, they started making Single Quinta Vintage Port from Quinta da Galeira. Quinta Dona Matilde was acquired by the Barros family again, so Sogevinus is no longer the owners of this Quinta.